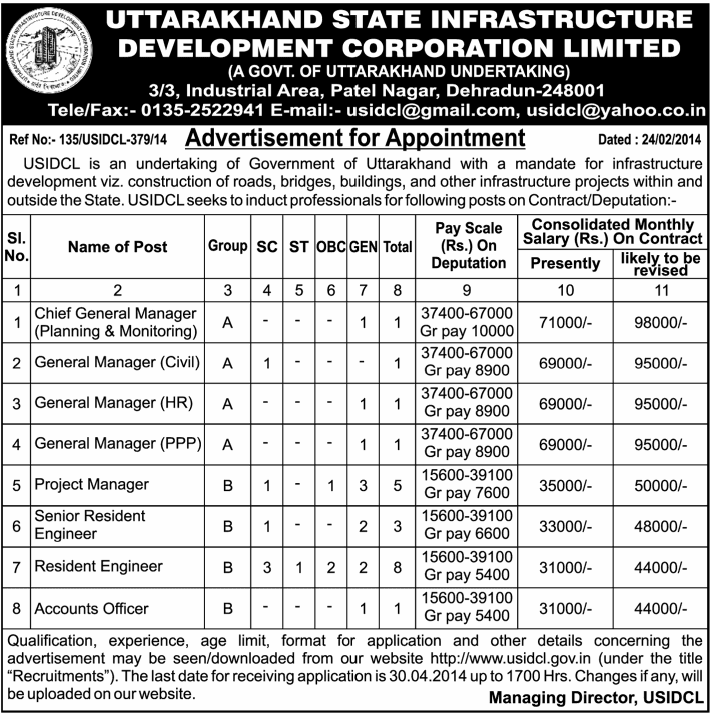 Education Qualification, experience, age limit, format for application and other details concerning the advertisement may be seen/downloaded from the official website usidcl. Which is http://www.usidcl.gov.in (under the title “Recruitments”). The last date for receiving application is 30.04.2014 up to 1700 Hrs.